Rough Sketch 8 23 17.
rough sketch- blog > Two captivating galleries that love my art! Two captivating galleries that love my art! 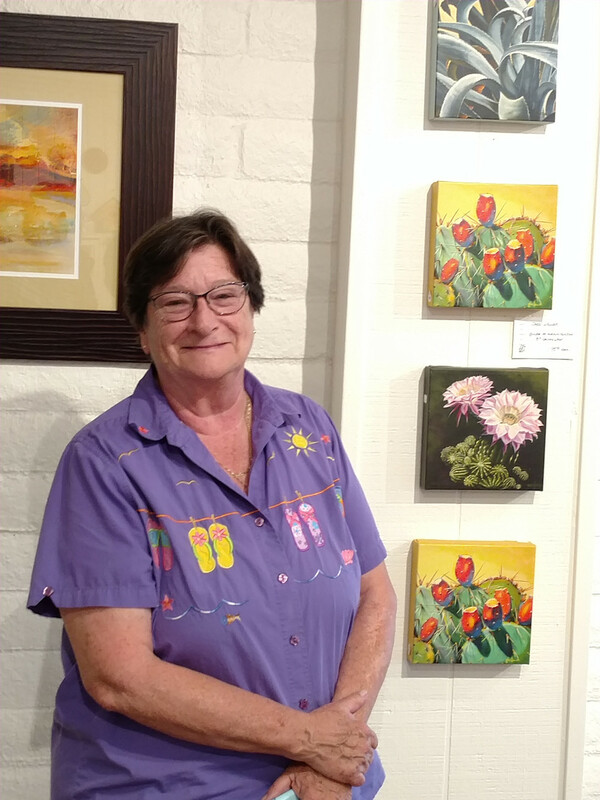 I want to feature two extremely beautiful and sensitive art galleries who carry my work as well as many other artists who are thrilled to be part of their galleries. The taste of a gallery tells you something about the owner(s) and these two galleries are very unique and tasteful as well as an artistic experience for the visitors who enter. The owners are optimistic visionaries and truly engaged with the artists in their stable. 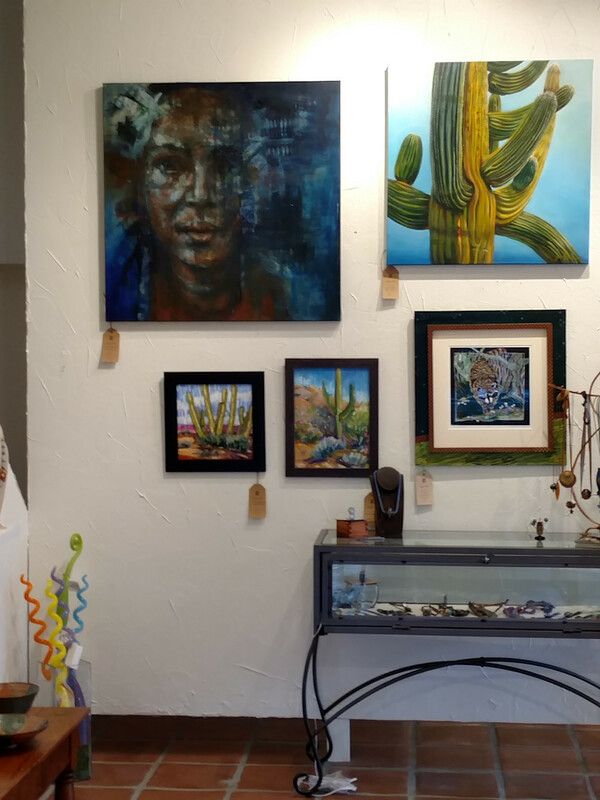 Meet Jen Prill at Tubac Arts and Gifts in Tubac Arizona. 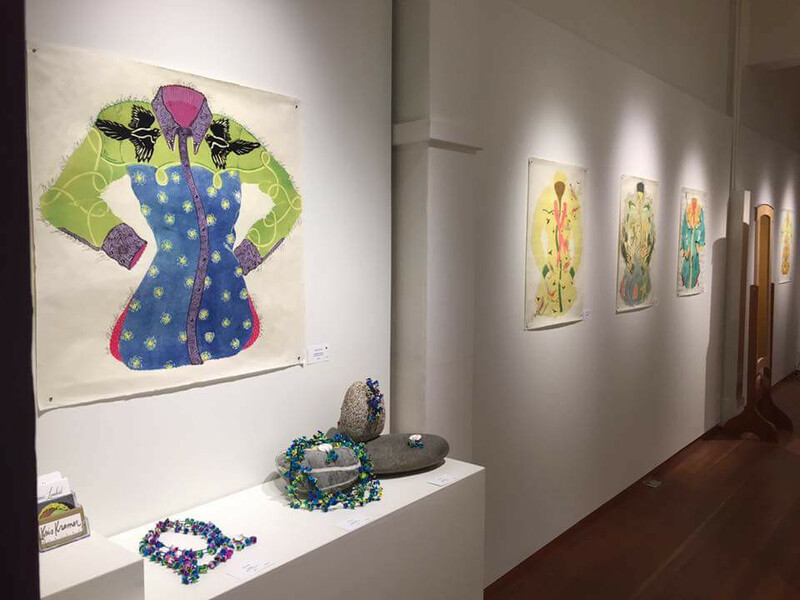 The gallery is spacious and light-filled and the content is especially tailored to the tourists and locals who drop by. 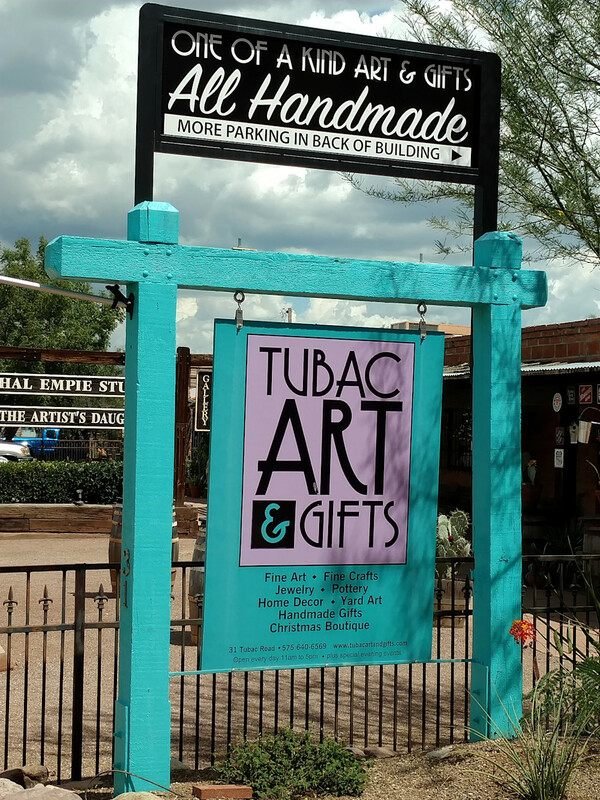 Tubac is a captivating art village just south of Tucson, which is an hour’s drive, and the gallery feels contemporary and fresh, not at all clichѐd. Jen carries and has sold a number of my original woodcut prints and she also sells my archival reproductions of the various handprints including the Womenswear series and the Graphic Botanicals. My newest gallery friends are the most entrancing gallerists, Maureen O’Shaughnessy and her husband Tim, at the 1+1=1 Gallery in Helena Montana. Maureen invited me to show for a group event titled ‘The Body’ at the gallery in early July. I shipped her seven of my womenswear prints and she promptly sold four of them on opening night of the show. 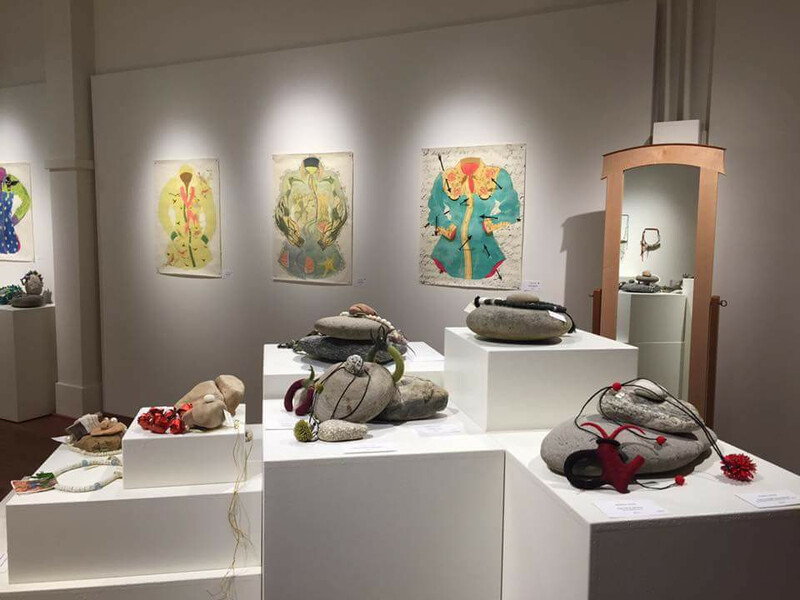 Maureen and her team offer weekend workshops in the gallery as well as musical performances. 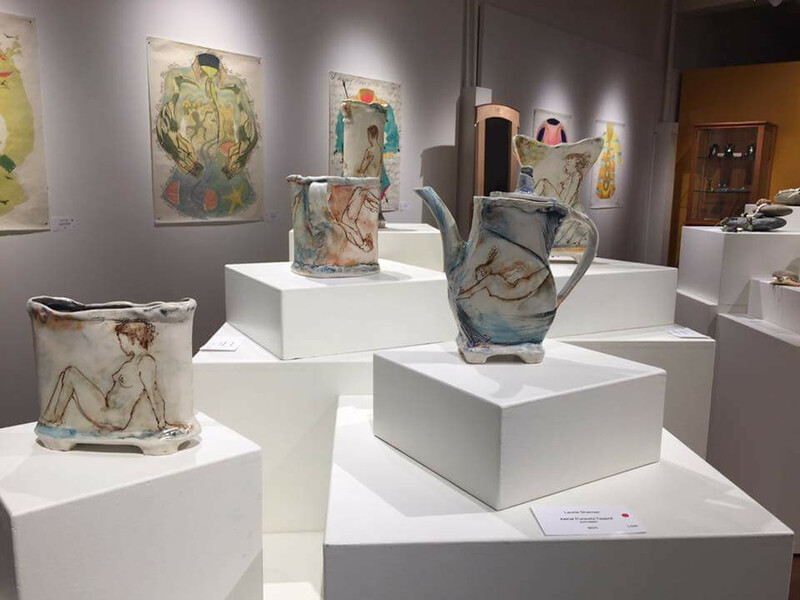 The community outreach she accomplishes as well as the space filled with fine art are remarkable ‘tags’ of this enthralling gallery. Thank God for optimistic visionaries with good taste in art. We in the arts community cannot survive without you. Cheers!